The Lord inspired me in July of 2012, to create bracelets with 3 beads to signify the Father, Son, and Holy Spirit: the Trinity of God. I chose sparkly beads to reflect light, much like the light of our Lord. In the Bible we read that God our Creator alone will be the source of light in the world to come: the New Jerusalem. Throughout the Bible light is used to depict His truth and holiness. These ideas came when planning what to make for the gals of a missionary family who were visiting us on their furlough from Africa. After our time together, the ideas kept flowing and I started making Trinity Bracelets while confined to the couch during the onset of a serious illness two months later. Trinity Jewelry by Design had begun! So what would be the my business plan for Trinity Jewelry by Design? 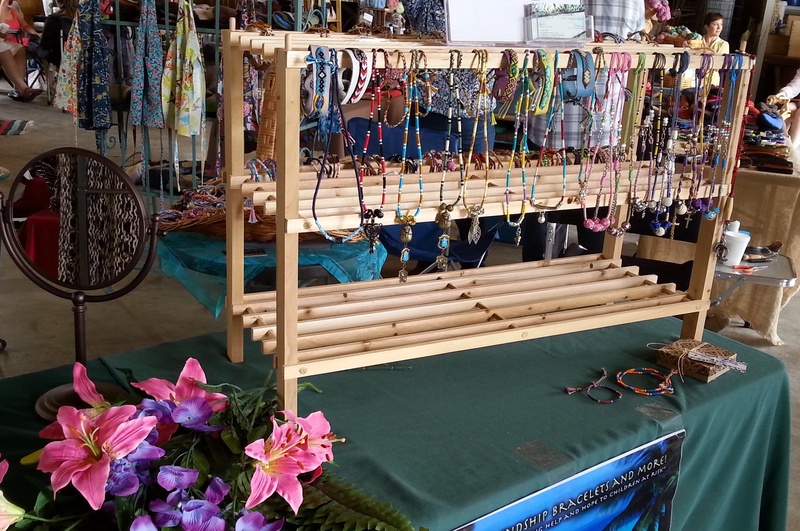 Creating knotted hemp and leather jewelry became my passion, introducing me to customers across the globe and six local events including craft/art shows. Today I am grateful to have also helped promote the jewelry of Christian ministries helping families at risk find work crafting jewelry. For 3 years I had come full circle: making lemonade out of the “lemons” of life and championing the same of others. This was just like my profession of occupational therapy. Even back in 1996, the Lord guided me in starting my first business when recovering from an auto accident. The “Living Safely” program was a community education program that provided a wonderful journey for that season of my life, culminating in a videotaping with a professional camera crew from the Oprah Winfrey Show. Yeah. Our God is BIG! Two Step Solutions LLC will build on that experience in addition to expertise as an occupational therapist in home health care. It’s time to make a mark in my lifelong profession that has made such a tremendous difference in my life for sure.